There are some pretty obvious ways to get pulled over while driving drunk – beer in hand, swerving, even driving in the wrong direction. But what about having a 15-foot tree stuck in the bonnet of your car? Maryann Christy from Illinois ploughed into a tree, got literally the entire thing stuck in the bonnet, and then just kept on driving like it was no big deal. And police dashcam footage caught the crazy incident on camera. Apparently, after having a few too many, Christy got the 15-foot foliage stuck in her car’s grille and drove for a good 10 minutes before police found her, CBC News reports. When an officer eventually caught up with Christy, she said she remembered hitting the tree, but couldn’t recall where or when it happened. Yup, vodka will do that to you. On further inspection (as if he needed any), the officer said the 54-year-old smelled like alcohol and gave her a sobriety test. She obviously failed. 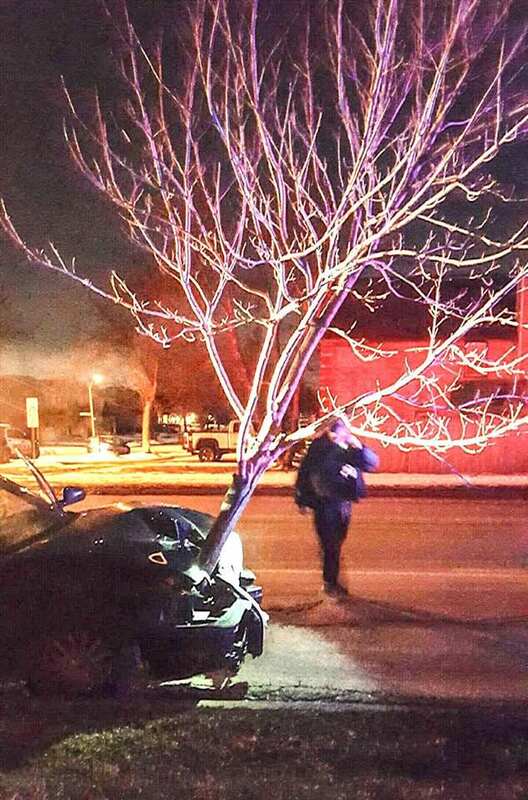 I don’t even know how drunk I’d have to be to not notice a 15-foot tree stuck in my car. I didn’t even think that was possible.